When conditions change, you need adaptable protection from wind, splash and rain. No need to pack a splash jacket and a rain jacket, the NRS High Tide has you covered. When the rain hits, the wind kicks up or the sun comes out, the High Tide Jacket lets you adjust on the fly. Half-zip entry makes it easy to put on in the boat and allows efficient ventilation. 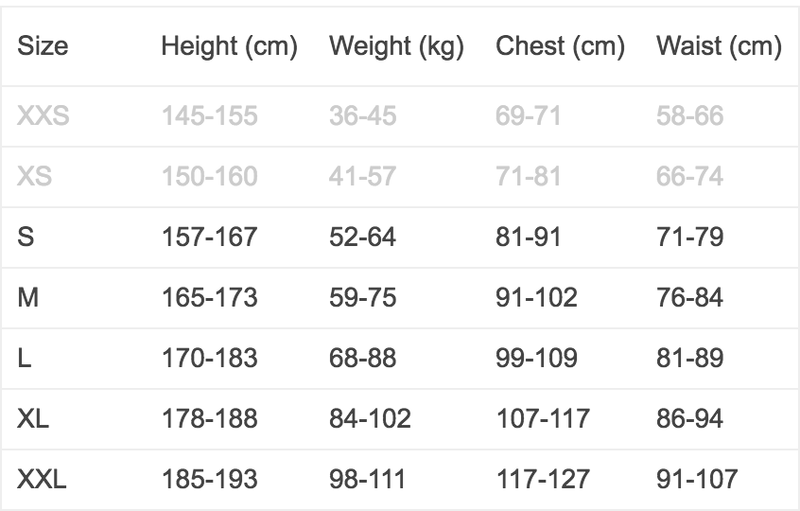 With wetsuits, your weight is the best "tiebreaker" when measurements cross sizes. Remember, wetsuits need to fit snugly to be efficient at excluding water and holding in warmth. In looser fitting garments like drysuits, splash jackets, etc, look first at the height, then at the weight for a tiebreaker.